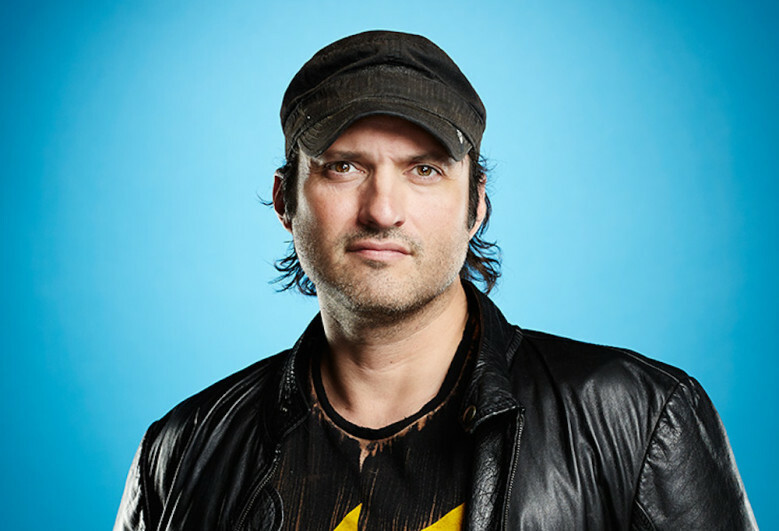 Robert Rodriguez was born and raised in Texas by his mother, a nurse and his father a salesman. At the age of 12, Rodriguez was spellbound by the images he saw on the big screen whilst watching John Carpenter’s ESCAPE FORM NEW YORK (1981). It was the moment when, in his own words, he said “I will make movies one day”. He started on his dream career shortly after and with a family that included 9 siblings, he already had a full cast of characters for his home movies which he shot on Super-8 film. Many of the techniques he used in those early movies, he still employs to great effect today. And almost all his films he shoots, edits and creates the effects and music himself. 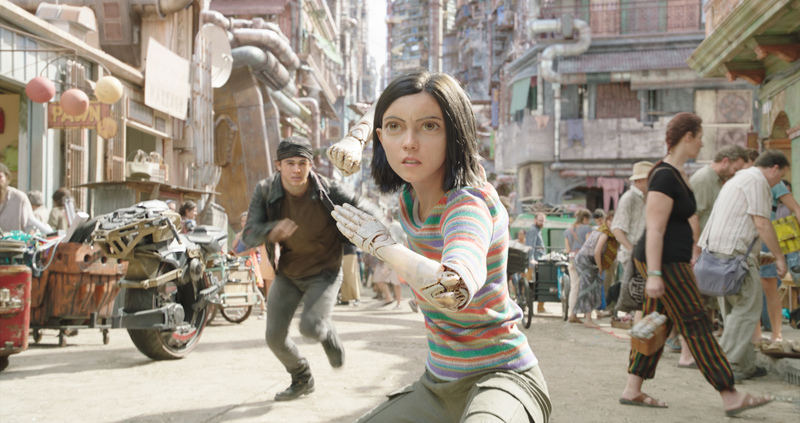 Keean Johnson (left) and Rosa Salazar (centre) in Twentieth Century Fox’s ALITA: BATTLE ANGEL. Photo Credit: Courtesy Twentieth Century Fox. Our first film is in UK cinemas now: it’s ALITA: BATTLE ANGEL (2019); an action-packed story of one young woman’s journey to discover the truth of who she is and her fight to change the world. It’s based on a celebrated Manga comic and has got great reviews for it’s action and visual effects in the States. The movie has been a passion project of director James Cameron for many years, but with his focus on the next set of AVATAR sequels, he passed directing duties over to Robert Rodriguez. With Rodriguez career mixing action movies for adults with movies for all the family, it seems a fantastic choice to have him direct this movie about a 14 year old girl, discovering herself and transitioning into an 18 year old gladiator. The film is live action, but with a heavy amount of computer generated visual effects for the robot characters, including the title heroine, Alita. Actor Rosa Salazar, who pays Alita, when talking about the process of filming in a motion capture suit mentions how it affords her the ability to play her character totally in the moment as she doens’t have to worry about make-up, costume or even hitting a mark. 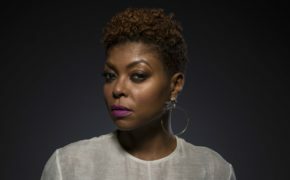 She describes it as a very freeing experience. Other cast members include Christoph Waltz, Jennifer Connelly and Ed Skrein. It’s in UK cinemas now and is a 12A – quick word of caution though, whilst 12A means anyone under 12 can watch this movie if accompanied by an adult, I’d recommend parents look up the briefing of the movie on the BBFC website. The film contains some harsher swearing and the violence, although is primarily robots fighting, is very intense and a lot have said it pushes the boundaries of what is acceptable at a 12A rating. 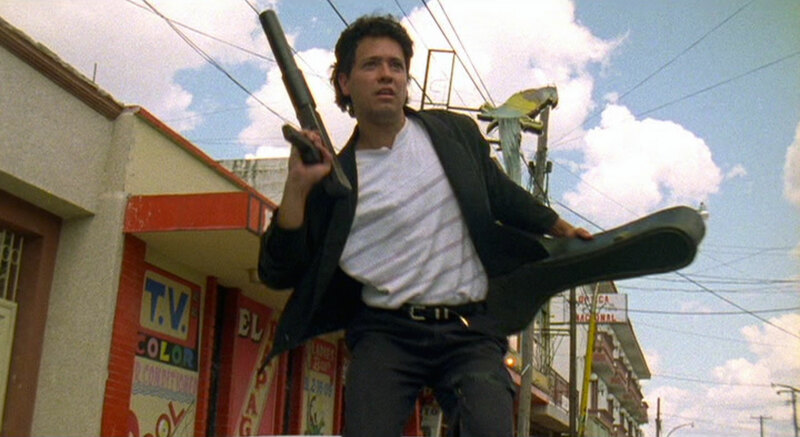 Our second film for today is Rodriguez’ first major film, EL MARIACHI (1992). This movie tells the story of a traveling mariachi is mistaken for a murderous criminal and must hide from a gang bent on killing him. Rodriguez was so sure that he wanted to direct he took a big leap of faith whilst making this movie. He had made many home movies, always getting great feedback from family and friends, and had been attending a film makers course; but he was impatient to get going with a bigger budget. So he enrolled himself in a clinic drug trial that meant he had to stay in hospital for a number of months; this gave him the time to write the script for the movie. It also meant he had a budget … just $7,000 dollars. Rodriguez originally intend to just target the Spanish speaking straight to video market, but after a crazy bidding war between Hollywood management agents, the film ended up having a nationwide release, Rodriguez was picked up by one of the biggest agents in the world, he was given a two year, $5 million dollar contract with Columbia Pictures and the rest, as they say, is history. 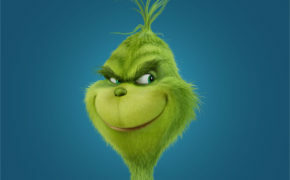 However, he didn’t let that success get to him; during an interview at the time of the movie’s release he stated that for him it was all about understanding and enjoying the work. It’s a great, fun movie to watch – especially when you know what it cost and that it was shot in just two weeks. It’s in Spanish, with English subtitles and a few years later he remade the movie, under the new title DESPERADO (1995), staring Antonio Banderas and Salma Hayek with a budget of $7 million dollars. 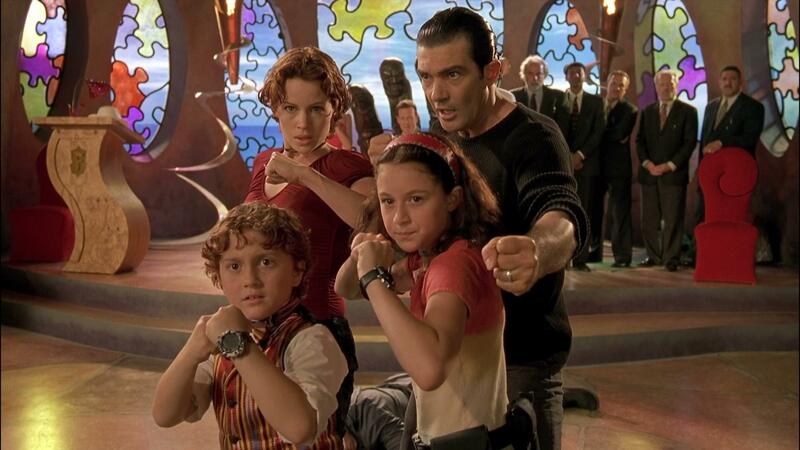 Our final film for today is SPY KIDS (2001), and it shows the family-friendly side of Rodriguez’ career that I mentioned early when we talked about ALITA: BATTLE AGENT – his most recent movie that is in UK cinemas this week. The premise of the movie is beautifully simple: The children of secret-agent parents must save them from danger. Rodriguez has assembled the batch of actors he frequently works with, Antonio Danderas, Salma Hayek, Dany Trejo, Cheech Marin, Carla Gugino to name a few; he also found two young actors, (Alexa Penavega and Daryl Sabara), to play the ‘kids’ of the title. It’s incredibly fun, fast-paced and doesn’t take itself seriously at all. The feel of the movie is very much like his early, homemade movies – like BEDHEAD (1991) – where he used his brothers and sister to great comic effect. One of many great comedy moments in the film happens when the Spy Kids themselves, (Carmen and Juni), first discover their parents’ safe house. At this point, the kids have only just found out that their parents are spies – upon hearing this news they exclaim they can’t be spies because “they’re not cool enough”, but their perception of their parents is about to drastically change forever. What’s great about this film, is that children watching it get to imagine themselves as the heroes. And it’s Rodriguez family life, with his 9 siblings and 4 children of his own, that really filters into the ethos of this movie. 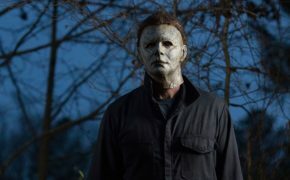 Although funded by a major studio, he made the movie at his own production facility in Austin, Texas, (as he does with all his movies), and it was so successful it spawned four movie sequels and a TV series. So, from Rebel Without A Crew, (also the title of his book about making EL MARIACHI), to Hollywood wonderkid, to self-made movie and TV studio. One amazing career that all started with a 12 year old boy being wowed by seeing something on the big screen.